In modern society, we are ever more aware of the environmentalissues we face, whether these relate to global warming, depletionof rivers and oceans, despoliation of forests, pollution of land,poor air quality, environmental health issues, etc. At the mostfundamental level it is necessary to monitor what is happening inthe environment - collecting data to describe the changingscene. More importantly, it is crucial to formally describe theenvironment with sound and validated models, and to analyse andinterpret the data we obtain in order to take action. Environmental Statistics provides a broad overview of thestatistical methodology used in the study of the environment,written in an accessible style by a leading authority on thesubject. 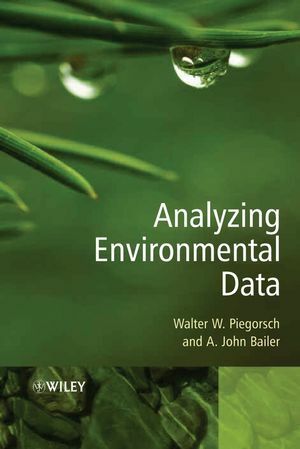 It serves as both a textbook for students of environmentalstatistics, as well as a comprehensive source of reference foranyone working in statistical investigation of environmentalissues. * Provides broad coverage of the methodology used in thestatistical investigation of environmental issues. * Covers a wide range of key topics, including sampling, methodsfor extreme data, outliers and robustness, relationship models andmethods, time series, spatial analysis, and environmentalstandards. * Includes many detailed practical and worked examples thatillustrate the applications of statistical methods in environmentalissues. * Authored by a leading authority on environmentalstatistics. 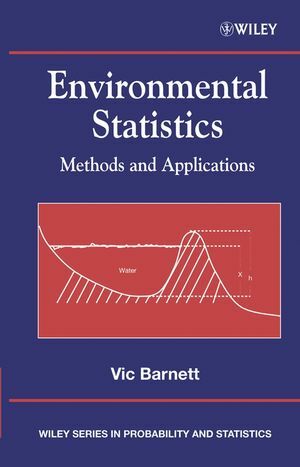 Vic Barnett is the author of Environmental Statistics: Methods and Applications, published by Wiley. 1.1 Tomorrow is too Late! 1.3.1 ‘Getting it all together’. 1.3.2 ‘In time and space’. PART I: EXTREMAL STRESSES: EXTREMES, OUTLIERS, ROBUSTNESS. Chapter 2: Ordering and Extremes: Applications, models, inference. 2.3 Extremes and Extremal Processes. 2.3.1 Practical study and empirical models; generalized extreme-value distributions. 2.4 Peaks over Thresholds and the Generalized Pareto Distribution. Chapter 3: Outliers and Robustness. 3.1 What is an Outlier? 3.2 Outlier Aims and Objectives. 3.3.1 Discordancy and models for outlier generation. 3.3.2 Tests of discordancy for specific distributions. 3.4 Multiple Outliers: Masking and Swamping. 3.6 A Possible New Approach to Outliers. 3.11 Outliers in linear models. PART II: COLLECTING ENVIRONMENTAL DATA: SAMPLING AND MONITORING. 4.1 A Probabilistic Sampling Scheme. 4.2.1 Estimating the mean, &Xmacr;. 4.2.2 Estimating the variance, S2. 4.2.3 Choice of sample size, n.
4.2.4 Estimating the population total, XT. 4.2.5 Estimating a proportion, P.
4.3 Ratios and Ratio Estimators. 4.3.1 The estimation of a ratio. 4.3.2 Ratio estimator of a population total or mean. 4.4 Stratified (simple) Random Sampling. 4.4.1 Comparing the simple random sample mean and the stratified sample mean. 4.4.2 Choice of sample sizes. 4.4.3 Comparison of proportional allocation and optimum allocation. 4.4.4 Optimum allocation for estimating proportions. 4.5 Developments of Survey Sampling. Chapter 5: Inaccessible and Sensitive Data. 5.2 Length-Biased or Size-Biased Sampling and Weighted Distributions. 5.3.3 Estimating mean and variance. 5.4.1 The ranked-set sample mean. 5.4.3 Ranked-set sampling for normal and exponential distributions. Chapter 6: Sampling in the Wild. 6.2.1 The Petersen and Chapman estimators. 6.2.2 Capture–recapture methods in open populations. 6.3.1 The simplest case: strip transects. 6.3.2 Using a detectability function. 6.3.5 Point transects or variable circular plots. 6.4.1 Simple models for adaptive sampling. Part III: EXAMINING ENVIRONMENTAL EFFECTS: STIMULUS–RESPONSE RELATIONSHIPS. Chapter 7: Relationship: regression-type models and methods. 7.1.2 The extended linear model. 7.1.3 The normal linear model. 7.2.1 Looking at the data. 7.3 The Generalized Linear Model. Chapter 8: Special Relationship Models, Including Quantal Response and Repeated Measures. Part IV: STANDARDS AND REGULATIONS. 9.2 The Statistically Verifiable Ideal Standard. 9.4 Standards Along the Cause–Effect Chain. Part V: A MANY-DIMENSIONAL ENVIRONMENT: SPATIAL AND TEMPORAL PROCESSES. 10.1 Space and Time Effects. 10.4.1 Estimating or eliminating trend. 10.5 Time-Domain Models and Methods. 10.6 Frequency-Domain Models and Methods. 10.6.1 Properties of the spectral representation. 10.6.2 Outliers in time series. Chapter 11: Spatial Methods for Environmental Processes. 11.1 Spatial Point Process Models and Methods. 11.2 The General Spatial Process. 11.2.1 Predication, interpolation and kriging. 11.2.2 Estimation of the variogram. 11.2.3 Other forms of kriging. 11.3 More about Standards Over Space and Time. 11.5 More about Spatial Models. 11.5.1 Types of spatial model. 11.5.2 Harmonic analysis of spatial processes. 11.6 Spatial Sampling and Spatial Design. 11.7 Spatial-Temporal Models and Methods.